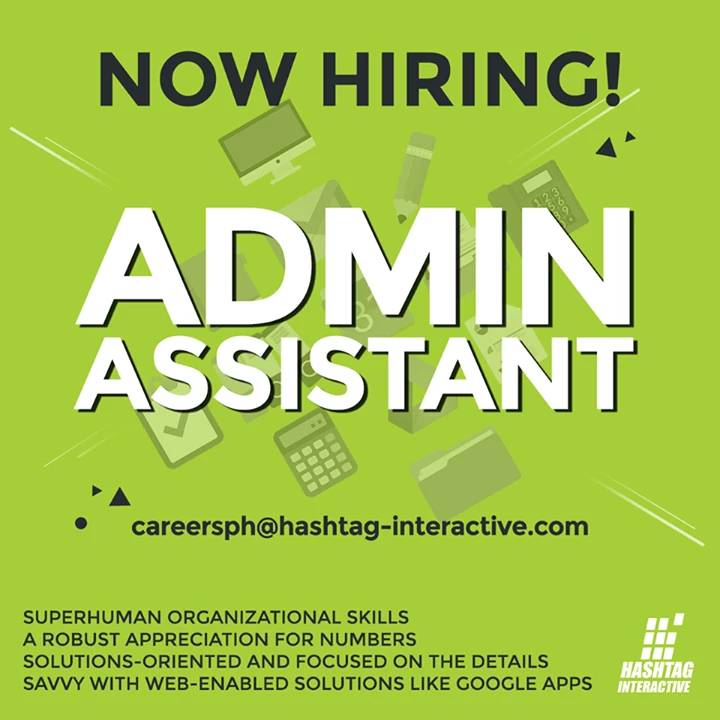 Vacancies in the Manila Office! 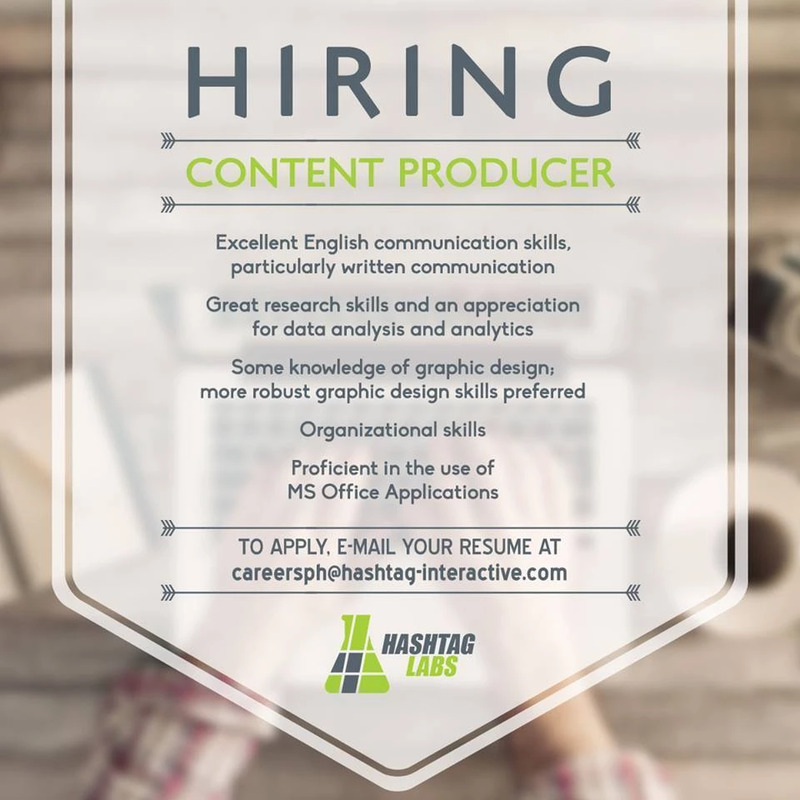 We’re looking for someone whose organizational skills border on obsessiveness whether you’re talking about physical documents or online file systems. The Content Producer operates at a level well above your typical copywriter. They’re master wordsmiths that use words to craft a wide variety of content including social media posts, client-specific presentations, or blog posts. They’re impeccable communicators who understand their audience and use words to engage customers and create memorable experiences. They can see things from the customer’s perspective and find a common ground through which to help clients reach out to and inspire brand advocates. 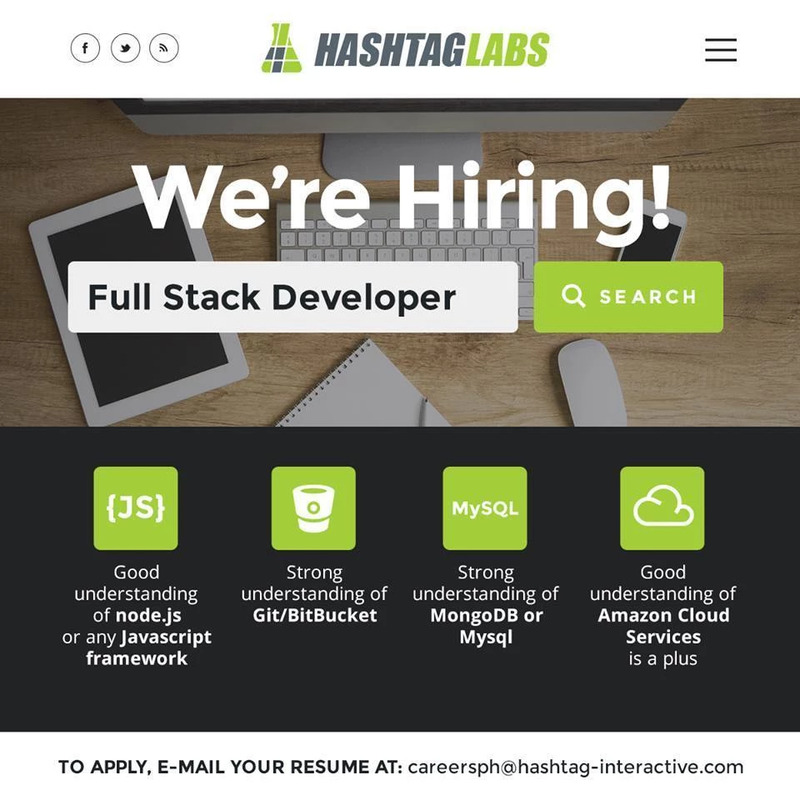 The Full Stack Developer is part of Hashtag Interactive’s IT Development team and will be working internal application projects. You should be able to learn fast, communicate well and solve complex problems while constantly keeping scalability in mind. We offer our employees a stimulating environment, the use of edge technologies and a management based on respect, listening and responsibility so that each team member can have a real impact on team choices. NOTE: These job positions have been closed as of December 2015. One Week in Manila Hashtag Interactive is moving!